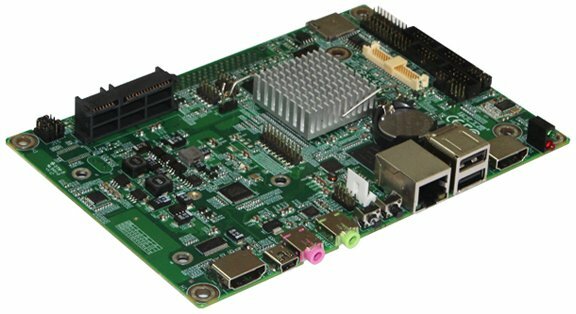 Norco recently unveiled a BIS-6332A, a platform based on Freescale i.MX6 processor compliant with Intel’s Open Pluggable Specification (OPS) mainly to be used as a digital signage player, but also as a fanless Box PC, a media player, a point of sale and more. The open pluggable specification (OPS) defines mechanical and electrical characteristics so that you can easily replace a OPS compliant board or device with another compliant platform. The company provides Android 4.0 support for the platform, but apparently not Linux. 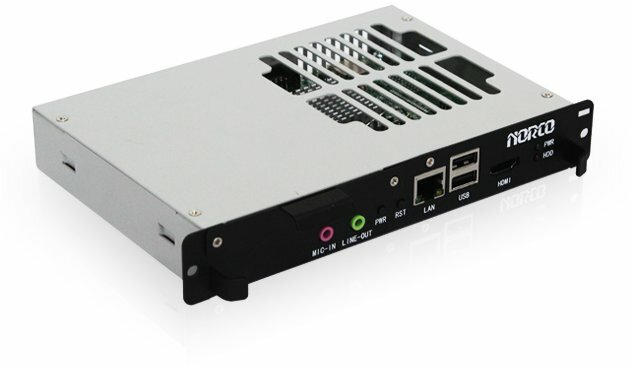 Inside the player, you can find OPS-4500 motherboard which can provide the features mentioned above, and 2x CAN, 6x USB2.0, 1x Mini USB OTG, 5x 4-wire serial port (COM2: RS422/RS485), a Mini PCIe slot, an IR port and 16 GPIOs. BIS-6332A (and BIS-6332B) are available now at an undisclosed price. You can find more information about the players, and OPS-4500 i.MX6 motherboard on Norco’s ARM products page.